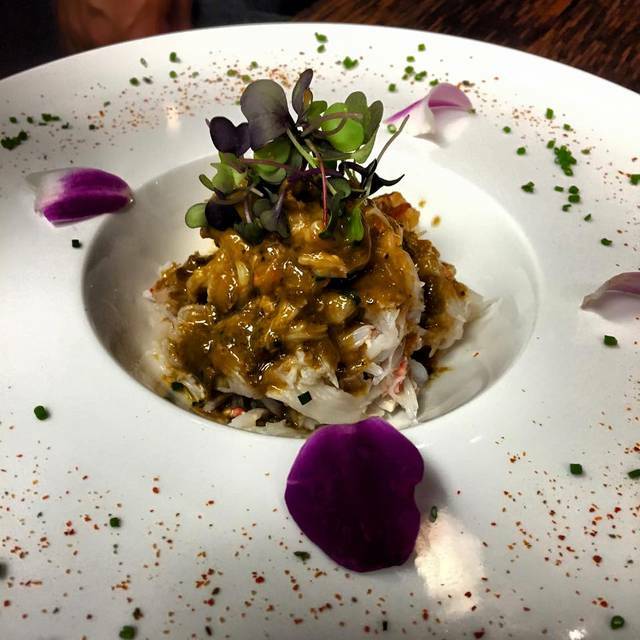 You must make reservations at least 5 minutes in advance of the time at Japaneiro Asian Fusion. 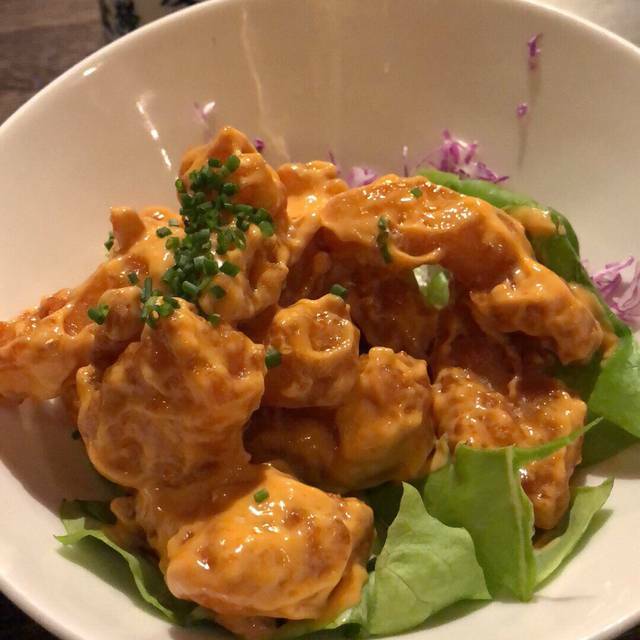 We specialize in Asian fusion Tapa bites such as salmon/tuna/crab/beef bite size tacos, black cod butter lettuce wrap, teppan grilled edamame with white truffle oil, house made certified black angus beef gyoza, kushiyaki (Japanese skewer), yuzu miso salsa tuna/salmon served on lotus chip. 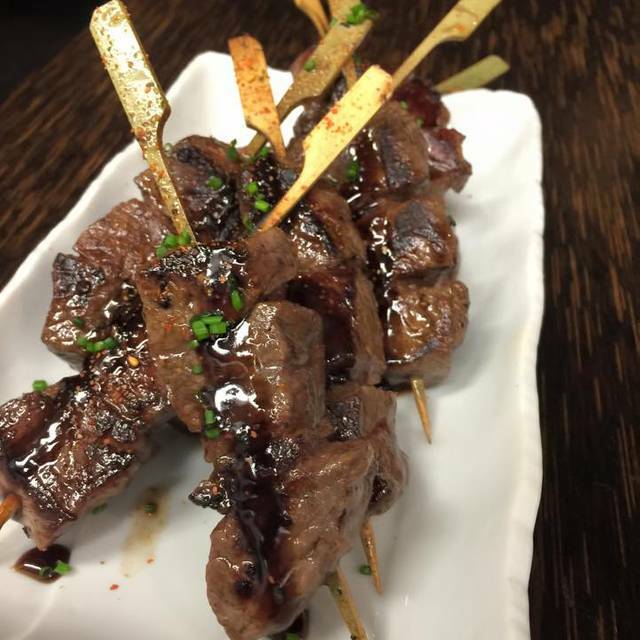 Your visit to Japaneiro won't be complete without trying our chef specialty dishes all using top quality ingredients. This continues to be my favorite restaurant in Vegas. A true gem. We thoroughly enjoyed our meal and the overall experience at Japaneiro. The restaurant is small with an intimate and casual feel. We started with the salmon lotus chips and bone marrow, both were great. For the main courses we had the Chilean Sea Bass and the Black Cod. Both were perfectly prepared with excellent flavor and moist flaky meat. The Black Cod is the dish that will keep us coming back. The service was superb, attentive without hovering. They provided useful and accurate recommendations. 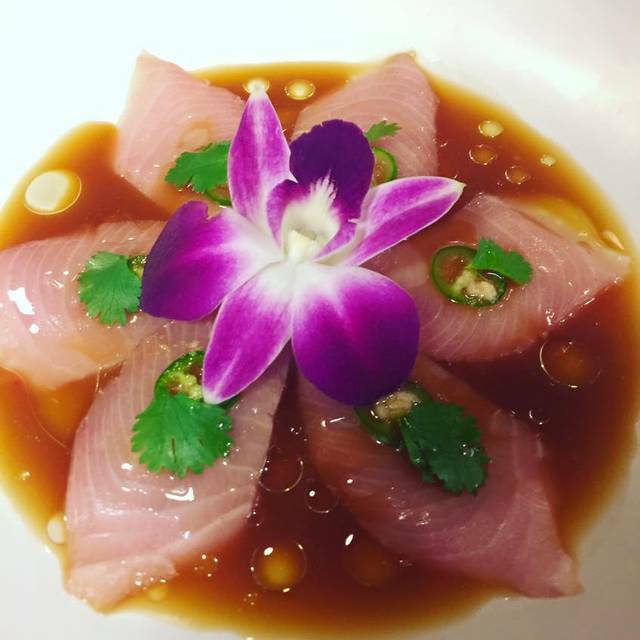 We are looking forward to our next meal at Japaneiro; it's our new favorite in Las Vegas. The food is fantastic and we had a wonderful dining experience. Thank you for accommodating our special request. This place is amazing. We tried almost everything on the menu and it was all awesome. This is a must try for any local or tourist. I have been to Japaneiro before, and I went out of my way to get back. It is worth the drive from the strip. the potstickers were a bit tougher than last time and the japaneiro fred rice had a lot of great flavors, but the rice did not have the same crispness I had the last time. I think it was just an off night. The salmon belly was incredible, and i want to go back and try the chef's omakase the next time i am in town. Japaneiro is a true true hidden GEM! We try to visit Chef Kevin as much as we can when we are in town. We CRAVE for the food here and get so excited every time we know we have an upcoming reservation. Food is suburb. The creativity and how all the flavors of the food come together is just amazing. It's an explosion of flavors in each bit. You kinda just sit there for a second in awe because it was just that good. Price for the quality of the food here is unheard of. What are you waiting for.... make your reservation now and enjoy the most exceptional food you'll ever have! Food was very good. Our waiter was very nice and informative. It was pretty quiet in there. I would try again. The price is fair. The wine selection is poor. The special of the house "beef" was not so special. One of our favorites, always a great dinner. They never disappoint. 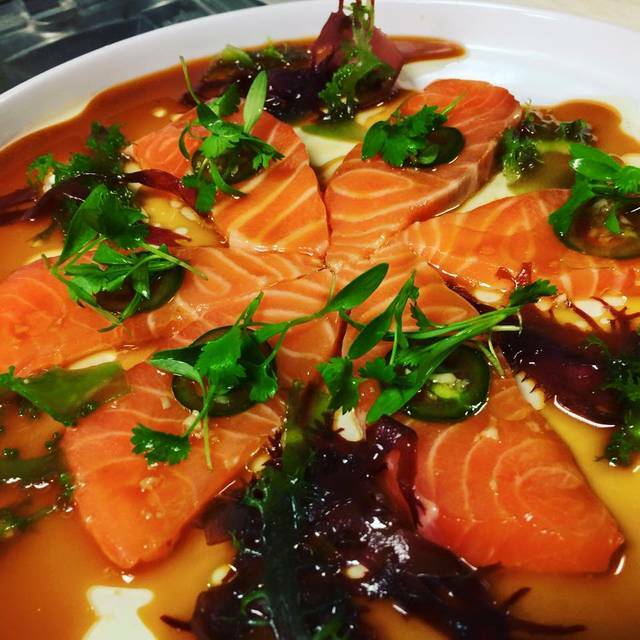 The salmon sashimi is a MUST TRY. Tiramisu green tea ice cream also a winner. Great place with delicious food, very tasty & beautifully presented! 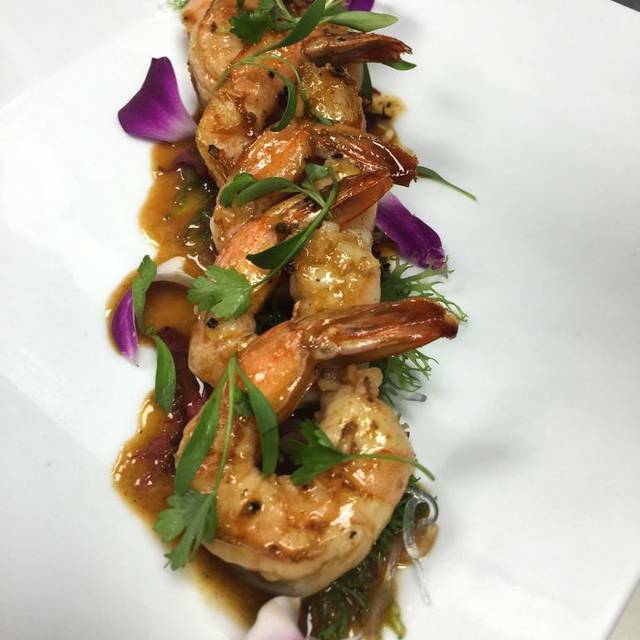 Chef KEVIN is very creative on his dishes! Service is excellent & Chef is always there to welcome you with a big smile! Friendly staff & inviting environment! We keep coming back as every visit is always a delightful experience!!! Thanks Chef Kevin! Japaneiro was excellent for our family Christmas get together! Chef recommendations were amazing. We received so many compliments from the family for selecting Japaneiro. The tomahawk steak and braised bone marrow were the hit of the evening, the presentation and the taste combination were so good. We are looking forward to celebrating there again very soon. Wow great place. Stumbled on it on Open table looking for high rated restaurants. The food was impressive, the restaurant was intimate. Chef came out to check on each table, and I was lucky : table next to mine ordered the chef’s special, and he came out to describe each entrée. Many of the other patrons were repeats that were bringing in friends or relatives. The food was flavorful, and expertly prepared. I sampled all the appetizers because I wanted to experience the range of foods and I was impressed. This place is going to be on my list of ‘have to go’ each time I am in Vegas. Always a great experience! Food was amazing. Food is outstanding. Well executed. Beautifully presented. I love this place very much. The Chef fuses two fine cuisines to make some very nice dishes. You won't be disappointed. Everything was great, not sure how I havent found this place previously. Cant wait to go back! Great food, personalized impeccable service by the Chef himself Kevin, every item we ordered was fresh & very tasty & artfully presented! Convenient place for late dining & ample parking space! Reasonable value for the money! We will continue to come back for more! The food was really very good, presentation was great, the food has the feel of fine dining. The place is small. The server (forgot her name), is very nice and personable. Will return to this place for sure! The black cod and salmon belly were expertly cooked. The baby octopus was my favorite. The japaniero rice was very tasty, even the pot stickers were excellent! The desserts were great too!!! Every dish was like a piece of art. Presented with pride. It was exciting to see what was coming next. Kevin and crew did a fine job. Definitely coming back for more on next LAS visit. Bone marrow was huge and came with a row of filet mignon topped with foie grass. Rich but delicious. Chef Kevin was just amazing. A personal touch he gives to his patrons is a plus. Definitely a gem in the culinary Vegas world. Can't get enough of the food!!! From the appetizers to main dish. Love the dishes we ordered: marrow filet, black cod, japaneiro yakisoba , soft shell crabs! Soo awesome. The food quality and presentation were impressive. I believe Japaneiro is one of Las Vegas' best kept dining secrets. Great for friendly dining and relaxing conversations. Also, the smooth jazz music was very fitting! We ordered the 7 course tasting menu: scallops with uni and ikura, Kumamoto oysters with foie gras, Nigerian prawns with truffle butter, escargot, salmon ceviche, bone marrow with beef filet and foie gras, finished with tiramisu and green tea ice cream. 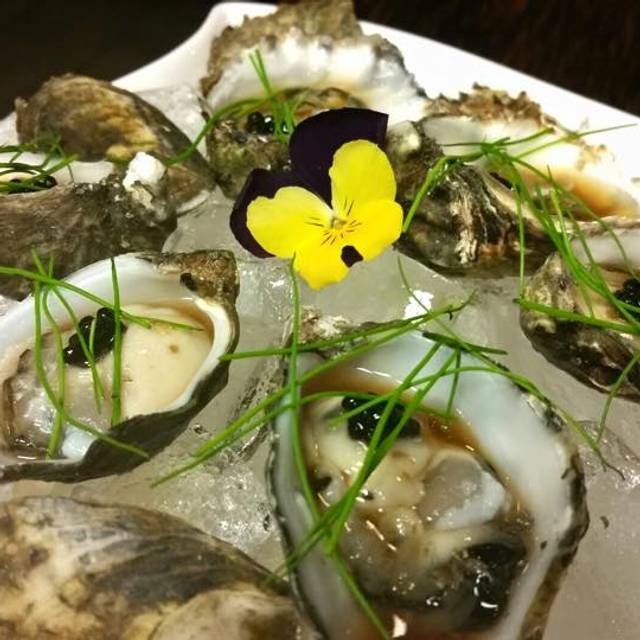 We added an order of belon oysters and a half dozen more Kumamoto oysters. Everything was sublime....highly recommended! A foodie's paradise. What an amazing, creative meal. Everything was delicious and The presentation was excellent. We were visiting Red Rock and found this via an Internet search. It is truly a local gem. I am just sorry that we are not locals. We would be there at least twice a month. Japaneiro is an extraordinary experience. This isn't a sushi bar, although there's some sushi on the menu. 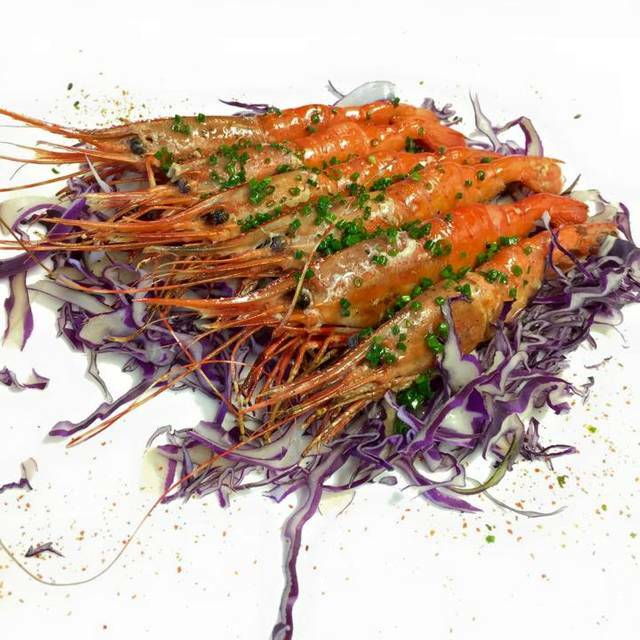 It's somewhat like Nobu (the owner is a Nobu alumnus) in its unusual twist on traditional Japanese dishes. The best way to experience this place is to order a few small dishes and make your decisions as you go along. 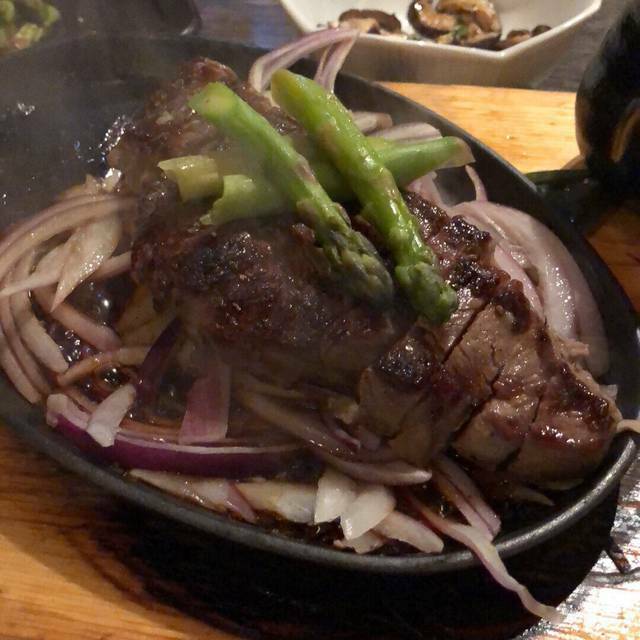 While the regular menu includes steaks and other large dishes, hold off until you've tried at least a few of the specials written on the wall near the entrance. Kevin, the owner, was our server for this wonderful experience. He knows every detail of every dish; get him if you can! Kevin was amazing and explained everything so well. The taste of the food is out of this world.